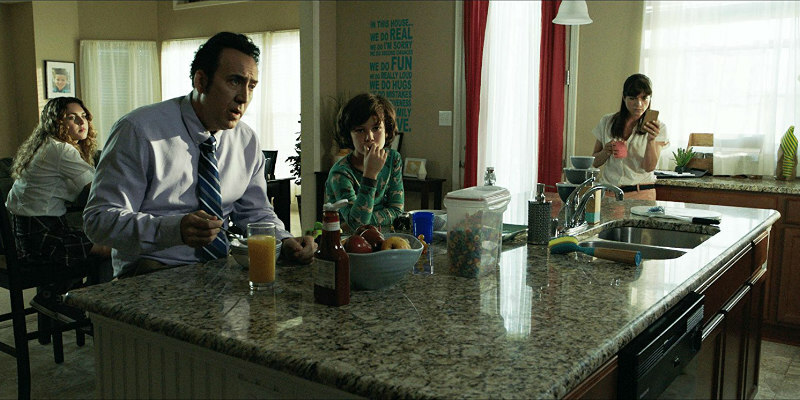 Cage loses it as only he can in a new clip from the upcoming horror movie. 2018 is set to be a good year for Nicolas Cage fans. His slate for the year includes director Panos Cosmatos' psychedelic Sundance acclaimed Mandy; sci-fi drama The Humanity Bureau; and thriller The Looking Glass from River's Edge director Tim Hunter. First up however is Mom and Dad, in which Cage teams up with Crank director Brian Taylor. The Stepford Wives' style thriller sees parents, including Cage and Selma Blair, turn violent on their children in an outbreak of inexplicable mass hysteria. You can watch Cage lose it, as only he can, in the clip and trailer below. Mom and Dad is in UK/ROI cinemas March 9th.